If you're a golf fan, or really just a sports fan in general these days, you were probably bummed (and a bit nervous) to hear that Tiger Woods pulled out of the Arnold Palmer Invitational last week due to a neck strain. While he's back in action this week at The Players Championship, NBC golf analyst Paul Azinger noted his concern in speaking with USA Today's Steve DiMeglio. 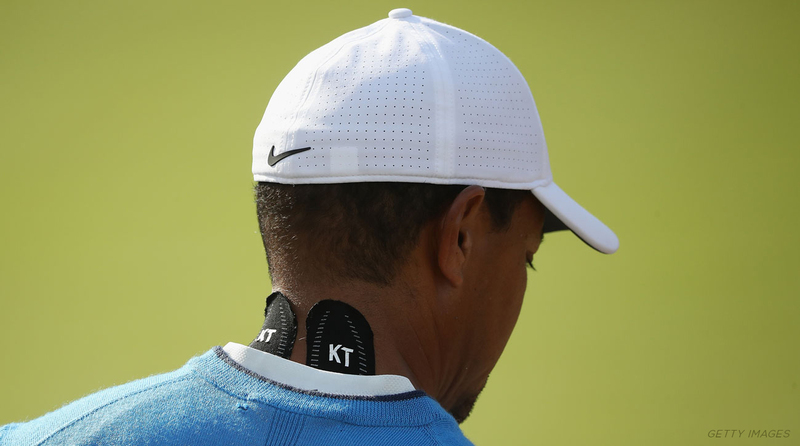 “His neck issue, that’s a serious issue I feel,” said Azinger. “Because if your neck doesn’t flow the way you want, that’s trouble. It looked like the whole (swing motion) wasn’t all going together. On Monday at The Players Championship, Woods told Demglio that he'd been dealing with nagging neck issues going back a few weeks to the WGC Mexico Championship. With the many moving body parts throughout the golf swing, you may not realize how much force is being put on the neck. As your hands and arms move back to start the backswing, your shoulders turn, which rotates your hips. The unwinding of those body parts in reverse is what creates power in the golf swing. Many golfers, from weekend hackers to the pros, experience back issues at some point. Tiger's back issues throughout his career are understandable, given the incredible amount of torque his spine is put under, particularly early in his career. What's easily missed in the golf swing is the engagement of the neck. The finishing body position of the golf swing for Tiger has his right shoulder pointed towards the target (something he has worked to reduce over the years). In the golf swing, the natural turn back of the shoulders creates rotation of the T-Spine, while our eyes and head are facing the ball. The full swinging back and through of the golf club causes your chin to touch each shoulder throughout the swing. Joe Gambino, PT, DPT, CSCS, founder of Par Four Performance, an online resource for golf fitness and training, explains this in detail. "As we rotate our spine in one direction," Gambino explains, "we move into cervical spine (C-Spine) rotation in the opposite direction. As a golfer rotates into his backswing, he creates T-Spine rotation to the right. Since the head remains still, looking at the ball, our neck is rotated towards the left at the top of the backswing." Gambino continues, "If cervical rotation is restricted actively, this can be detrimental to the amount in which you can rotate your T-Spine, potentially throwing off your swing." If you're not a boxer, wrestler, MMA fighter or football player, odds are it's been awhile (or never). That's understandable. 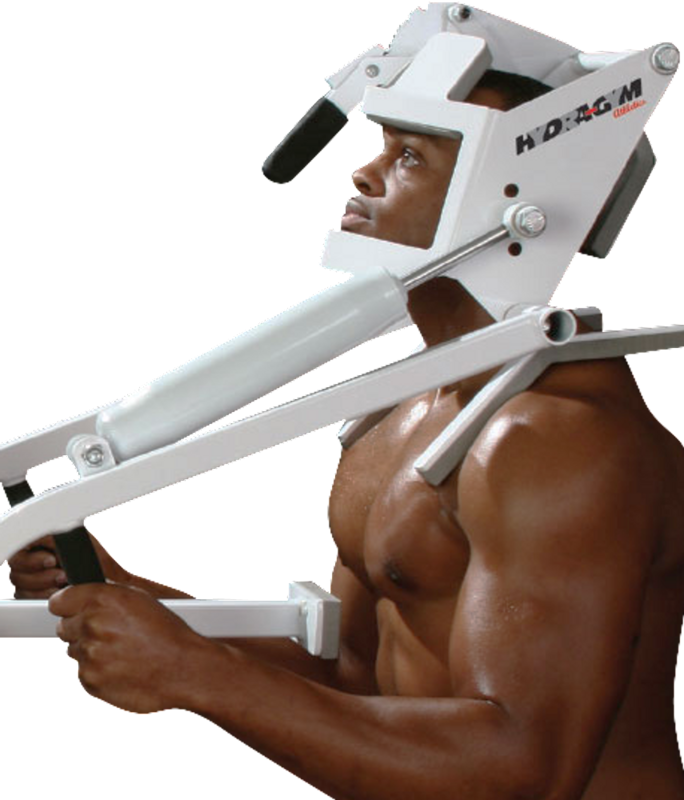 Neck training is hard to do consistently and the 4-way neck machines in the gym aren't particularly inviting! The neck is easily the most used part of our bodies that gets the least attention in the gym; You use it to eat, look around, and play with your phone. It's practically engaged the entire day. Simply being more aware of your head position and posture throughout the day can help reduce the likelihood of strains. While no injuries can be completely prevented, improving neck strength, range of motion and stability throughout the entire spine can reduce the risk of these types of injuries. Maurice Allen drives golf balls the length of short par 5s. The current World Long Drive Champion understands the interconnectedness of all body parts throughout the golf swing. "If you end up with back problems, it's typically because whatever the weakest part of your chain, that's where you end up with the injury," Allen explains. "It's all about making sure you have proper form and technique and that really comes down to what you're doing in your day to day training." Head movement throughout the golf swing is something Allen notes causes issues for many golfers. "The swaying or moving of the head is one of the biggest detriments in the golf swing," says Allen. "Iron Neck helps keep your head stable while strengthening the neck. I'm also using it balancing on one leg, lifting the other leg up and just holding that [position], because that's essentially where you are in the golf swing." The vast majority of neck strengthening exercises are done in physical therapy, often in response to a nagging pain or injury. Vikash Sharma, PT, DPT, OCS, owner of Perfect Stride PT in New York City, implements neck stability exercises in many of his treatment protocols. "Incorporating isometric contractions of cervical spine musculature are useful to reduce pain and can also be used at end ranges to help improve mobility," Sharma explains. "With this exercise we are using the Iron Neck to focus on the stability of the neck in all directions as we rotate the body. The resistance band attached to the halo of the device stays in the same spot, so by rotating we are resisting motion in all directions." After the first couple weeks incorporating Iron Neck into his patient's treatment, he discovered a surprise. "If you specifically want to train stability in one position, pause in the positions that offer you the greatest challenge," Sharma explains. "Exposure there can help you improve your weaknesses."